This hi-tech, advanced and engineered resin injection method delivers both ground improvement and re-levelling. Mainmark’s Teretek® technology is suitable for geotechnical issues across all infrastructure, residential, industrial, marine and commercial sectors. Teretek’s unique benefits include the non-invasive way in which it can be delivered. Using a process likened to keyhole surgery, an expanding polyurethane resin mix is delivered into the ground via an array of small bore injection tubes. A chemical reaction and consequent expansion occurs as the components mix together, upon entry to the ground. This reaction and expansion strengthens the ground and the structure or building is returned to level in a controlled manner. The resin forms a strong, long lasting and stable material that is environmentally inert. Ground subsidence can cause buildings and concrete slabs to require re-levelling, and the need to enhance the ground bearing capacity underneath structures. The initial signs of subsidence, differential settlement and ground instability, such as cracking in walls, sinking floors, or misaligned doors and windows are often ignored, leading to often very significant and costly damage. The problems can compound if the cause and damage are not treated early. Mainmark’s Teretek engineered resin injection solution can help address the underlying issues before they intensify. For the majority of projects it is not necessary for the building occupants to vacate during the works. Most level correcting of houses and/or slabs can be carried out in less than a day. Treated slabs, roadways and driveways are trafficable within hours of Mainmark completing treatment. Building on our experience of correcting foundation ground issues and our knowledge of advanced resin injection and grout technologies, Mainmark developed our proprietary and cost effective solution for treating the cause and effect of ground subsidence, differential settlement and instability. 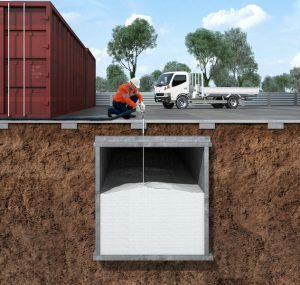 The Teretek resin uses an injection delivery method to raise, re-level, and re-support structures that have suffered the effects of ground subsidence. Teretek is a two-in-one solution delivering both ground improvement and re-levelling. It fills voids, improves the grounds bearing capacity and level corrects, all with no detrimental effects on the environment and at a fraction of the cost of other ground engineering methods such as traditional underpinning. The resin injection application is carefully controlled with continuous level monitoring. Where the conditions permit, the injection is done from outside the building or house. In some instances the injection must be carried out internally. Where this is the case, injection points are strategically positioned to minimise intrusion and the injection tube diameter is kept to a minimum. 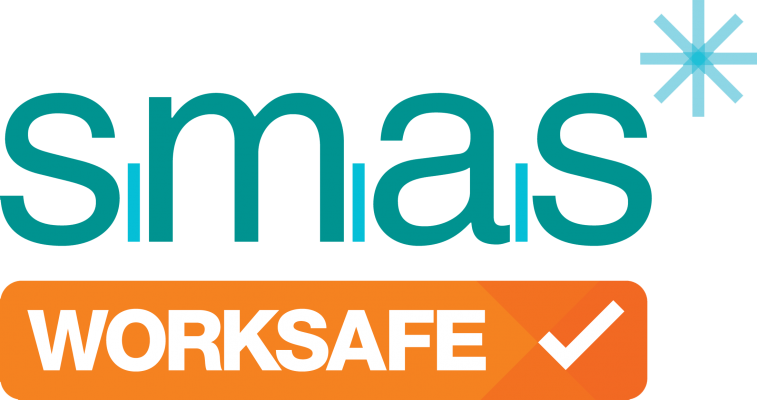 keeping premises safe while re-leveling or re-supporting structures and plant and machinery operating correctly. maximising the ongoing value of assets. 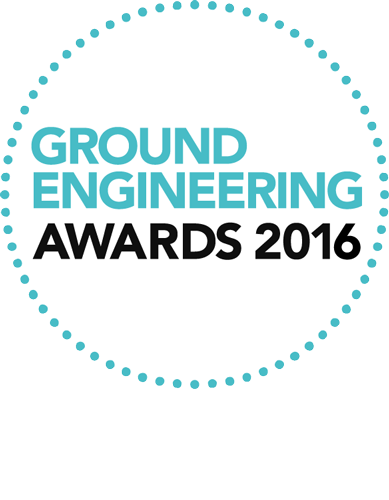 uneven ground stabilisation for improved safety. addressing building foundation problems, keeping your home or investment property structurally sound. 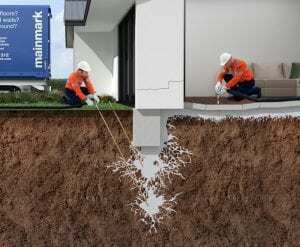 Mainmark has been innovating and developing its proprietary structural re-levelling and ground improvement technologies for over two decades. Employing our hi-tech methods and controls, engineered resins are introduced to the target soil profile to fill voided spaces and to establish ground bearing capacity improvement and support. Using the controlled force generated by the resin’s chemical reaction and expansion, lifting of ground and supported structure is effected in a planned and controlled manner from deep in the ground. Continuous monitoring of the ground, the structure and its environs is carried out throughout to ensure optimal outcomes are achieved. Teretek is an ideal application for the filling of voids and re-establishing of support to voided ground. This method can also be applied to other geotechnical issues such as decommissioning of redundant utilities, water sealing, restraint on water movement and filling of other man made voids. Teretek resin can be used to re-level sunken concrete slabs and to re-support moving slabs in warehouses, driveways, parking areas, garages, hardstand areas, roads and rail lines quickly, accurately and economically. The process generally takes only a few hours and even the heaviest vehicles – forklifts, trucks and airliners – can run smoothly just 30 minutes after injection is completed.